We are honored that you’ve chosen us to be your preferred provider and strive to make you a client for life. We work hard to go beyond mere customer satisfaction and instead are aiming for customer delight. 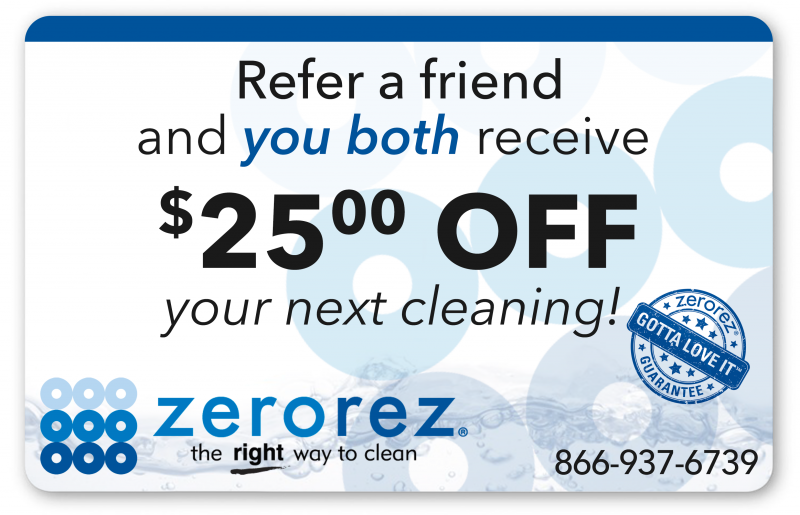 If we’ve done our job well, we’d like to encourage you to “Share the Clean” with your family, friends, neighbors or your place of business. The biggest compliment we can earn is a referral. We’d love it if you would share us with your friends and family and as a token of our appreciat,ion we’ll credit both your accounts with a little referral reward. 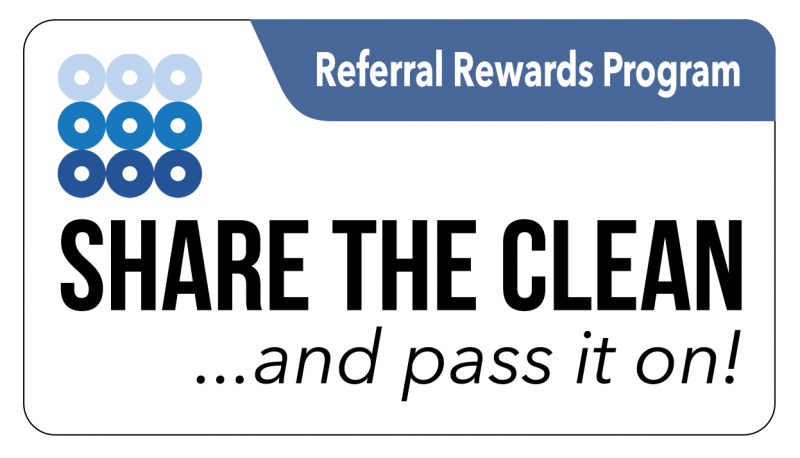 Please encourage your referrals to mention your name when they contact us, so we’ll know who to thank. We want to give every business the satisfaction of having a clean space to operate in. Here’s your opportunity to turn a referral into some cash. 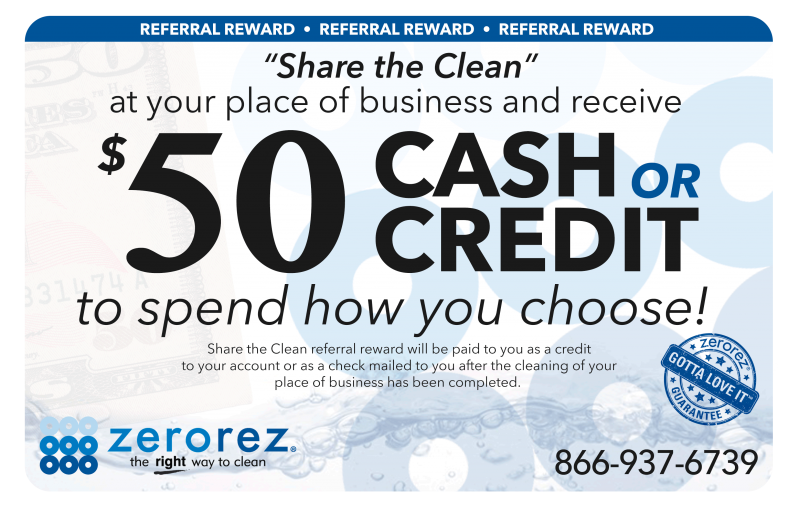 If you introduce us to your place of business and we turn that referral into a job, we’ll pay you $50 in cash.